Venezuelan-elected President Nicolas Maduro celebrates following the election results in Caracas on Sunday. CARACAS | Late socialist leader Hugo Chavez’s chosen successor Nicolas Maduro won Venezuela’s presidential election by a hair but now faces opposition protests plus a host of economic and political challenges in the OPEC nation. The 50-year-old former bus driver, whom Chavez named as his preferred heir before dying from cancer, edged out opposition challenger Henrique Capriles with 50.7 percent of the votes in Sunday’s election, according to election board returns. Capriles took 49.1 percent, just 235,000 fewer ballots. Venezuela’s opposition leader and presidential candidate Henrique Capriles during a news conference in Caracas April 13, 2013. A protracted election dispute could cause instability in a deeply polarized nation with the world’s largest oil reserves. Though some opposition supporters chanted “fraud,” burned tires, and banged pots and pans in protest, Capriles did not call them onto the streets en masse. The election board said Maduro’s win was “irreversible” and gave no indication of when it might carry out an audit (an official examination and verification of accounts and records). Critics say four of its five members are openly pro-government [pro-Maduro]. “Capriles should complain to the whole world. We need to check the votes box by box,” said opposition supporter and construction worker Fernando Cabreara, 48. PARIS | Paris’s Louvre museum closed on Wednesday due to a walkout by 200 staff over a rise in aggressive pickpockets including children sometimes working in gangs of up to 30, staff and management said. Christelle Guyader, a spokesman for the SUD union said staff have had enough of increasingly aggressive organized groups which are targeting both workers and tourists. Many of the thieves are children who get into the museum for free and then start asking people for money. “Do you speak English?” [they usually ask], and then they surround victims, helping themselves to money and possessions. The problem has been growing all over Paris, but the Louvre has become a favorite place to operate. At the end of last year the museum’s management asked prosecutors for more police to be made available, but the problem has persisted. About 100 staff gathered in front of the Ministry of Culture following the walk-out to demand action. The Louvre has around 1,000 staff with some 470 present on any one day. Two years ago, France’s then Interior Minister said that the vast majority of street robberies in Paris were being carried out by the children of Romanian immigrants. Claude Gueant said the eastern European state was responsible for exporting some of the most notorious [young] thieves in the world. Many operated in gangs around the Gare du Nord Eurostar station, preying on British travellers as they arrived from London. The Louvre normally attracts up to 30,000 visitors a day at this time of year. More than eight million people a year visit the Louvre, which is full of artistic treasures including the Mona Lisa and Venus de Milo. LONDON | Big Ben will not ring on Wednesday as a mark of respect for Baroness Thatcher’s funeral. The announcement came from John Bercow, the Speaker of the House of Commons, in a statement to MPs [Members of Parliament; similar to our congressmen], many of whom had asked the Parliamentary authorities to make a special tribute to the former Conservative prime minister. Francis Maude, the Cabinet Office minister coordinating arrangements for the funeral, told the House of Commons: “As you know, Lady Thatcher held Parliament in very great reverence in her time both in this House and in the Lords and I am confident that this will be seen as a very dignified and respectful gesture on behalf of Parliament and I am very grateful to you. The name ‘Big Ben’ is often used to describe Parliament’s famous clock tower, which was recently re-named Elizabeth Tower in honor of the Queen. However, the name was first given to the Great Bell, which sounds the hour. The Great Clock normally chimes every quarter hour and has done so since 1859, except during routine repair work and when it broke down in 1976.
b) How close was Mr. Maduro’s victory? c) Henrique Capriles, challenger to Nicolas Maduro for the presidency, is calling for a recount, as are his supporters. Mr. Maduro said he would accept a full recount, although he insisted his victory was clean and dedicated it to Chavez. “I won … we’ve had a fair, legal and constitutional triumph,” Maduro told his victory rally on Sunday night, saying he would also be vigilant against destabilization. “We will know what to do if someone raises their insolent voice against the people.” If you were a Venezuelan citizen, how would you take Mr. Maduro’s statement? d) The election board said Mr. Maduro’s win was “irreversible” and gave no indication of when it might carry out an audit. Critics say four of its five members are openly pro-Maduro. Do you think there will be a fair and accurate recount? Explain your answer. Numerous staff had reported “spitting, insults, threats and being struck,” by the pickpockets and had repeatedly reported the incidents, Guyader said. 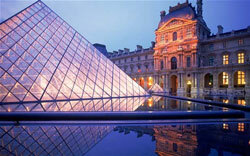 More than eight million people a year visit the Louvre. How do you view these helpless officials? How should museum officials and the police solve these attacks immediately? Be specific. b) Mrs. Thatcher was the first and only woman to be elected prime minister of Great Britain; she was also Britain’s longest serving prime minister of the 20th century. People who did not like her personally and/or opposed her policies do not want this sign of respect granted. Big Ben normally chimes every quarter hour and has done so since 1859, except for the funeral of Winston Churchill in 1965. What do you think? 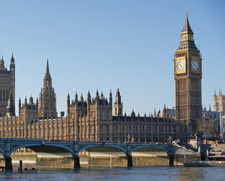 Should the bells of Big Ben be silenced for Mrs. Thatcher’s funeral? Why or why not? Maduro’s slim victory provides an inauspicious start for the “Chavismo” movement’s transition to a post-Chavez era, and raises the possibility that he could face challenges from rivals within the disparate leftist coalition. Chavez beat Capriles by 11 percentage points and 1.6 million votes in October, showing how quickly the gap between the two sides has eroded without the larger-than-life presence of the former leader (Maduro only beat Capriles by 1.6 percentage points). Opinion polls had all predicted a comfortable win for Maduro, due to emotion over Chavez’s March 5 death and the popularity of his social welfare programs, but they had also shown the gap narrowing fast in the final days. Even so, the result took most Venezuelans by surprise. The sympathy effect for Maduro from Chavez’s death was clearly wearing off. And Capriles’ message on the campaign – slamming his rival as an incompetent and poor copy of Chavez unable to fix the nation’s myriad problems – had hit home. Maduro was unable to match his former boss’s charisma and electrifying speeches, but nevertheless benefited from a well-oiled party machine and poor Venezuelans’ fears that the opposition might abolish Chavez’s slum development projects. The election raises doubts about the long-term appeal and durability of the movement that Chavez built, led and held together throughout his 14 years in power. Allies including China, Russia, Argentina and Cuba all congratulated Maduro. “This transcendental triumph demonstrates the strength of the ideas and work of Commander Hugo Chavez,” said President Raul Castro of Cuba, which depends on more than 100,000 barrels per day of Venezuelan fuel in return for sending workers here. Under Chavez, Venezuela was the United States’ main irritant in the region… Though Maduro has repeated his predecessor’s strident “anti-imperialist” rhetoric in public, there are signs he may want to begin a rapprochement with the U.S. government. The armed forces, who have played a major role in Venezuela’s tumultuous recent history including three coup attempts from within the military in the last two decades, vowed to maintain order in the nation of 29 million people. Maduro’s narrow win came as a shock to many ardent Chavez loyalists, who had become accustomed to his double-digit election victories. The small margin of victory gives Maduro less authority to lead the broad ruling alliance that includes military officers, oil executives and armed slum leaders. It had been held together mainly by Chavez’s iron grip and mesmerizing personality. Christelle Guyader of the SUD union said late Wednesday that the museum would reopen the following day, after management agreed to lay out a series of measures aimed at reinforcing police presence around the building. Staff at the famed museum staged the walkout as they were fed up with dealing with the often-violent thieves, she said. “Sometimes they come to work afraid because they find themselves confronted with organized groups of pickpockets who are increasingly aggressive and which include children, who get into the museum free and even when taken in for questioning by police, come back a few days later,” Guyader added. The museum — one of the world’s largest and most-visited — said it lodged a complaint with prosecutors late last year over the problem and demanded a greater police presence. The museum’s management told AFP it would from now on impose temporary restrictions on entry to the museum for anyone already identified as a pickpocket.